Are People Still Buying Dedicated Telepresence Rooms? Should Your Business Be Thinking Remote Sales Demonstrations? 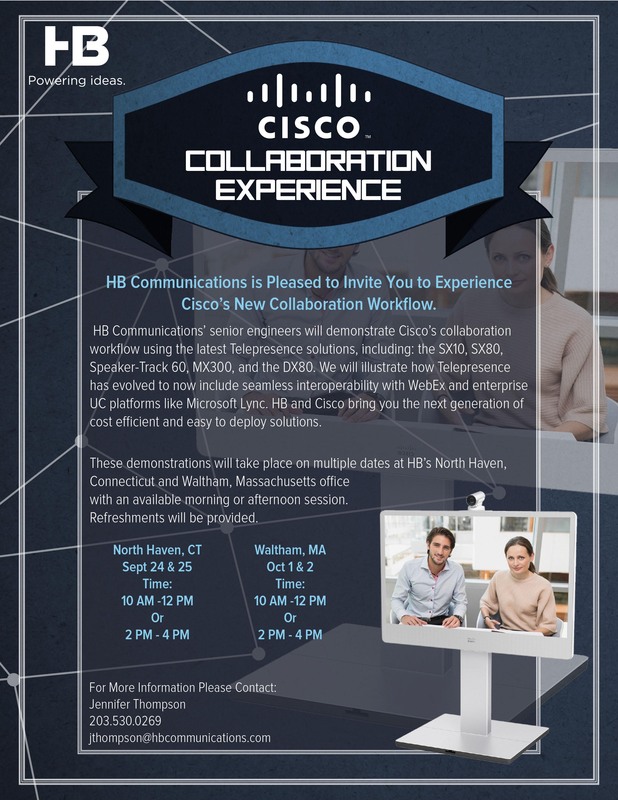 HB Communications is Pleased to Invite You to Experience Cisco’s New Collaboration Workflow. 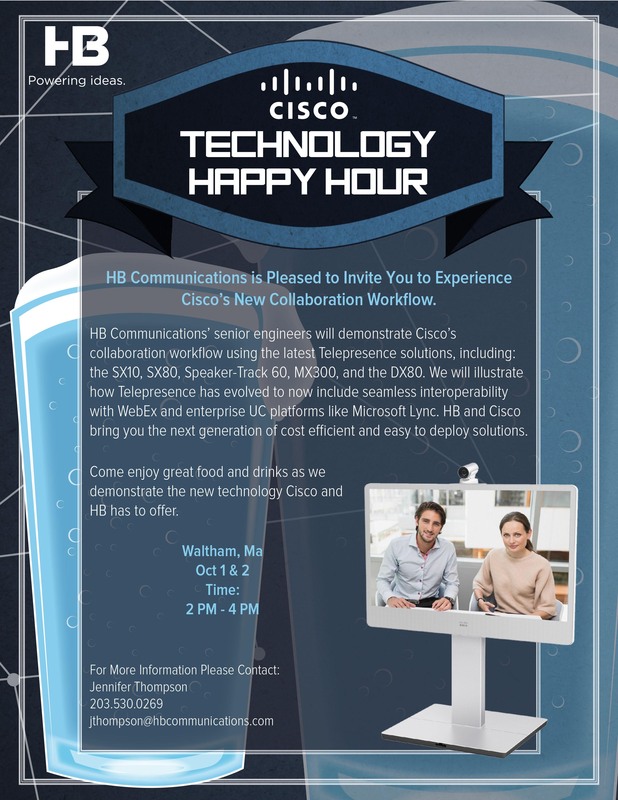 Join HB for a Technology Happy Hour!